PROUD HUFFLEPUFF AND BOOK LOVER. 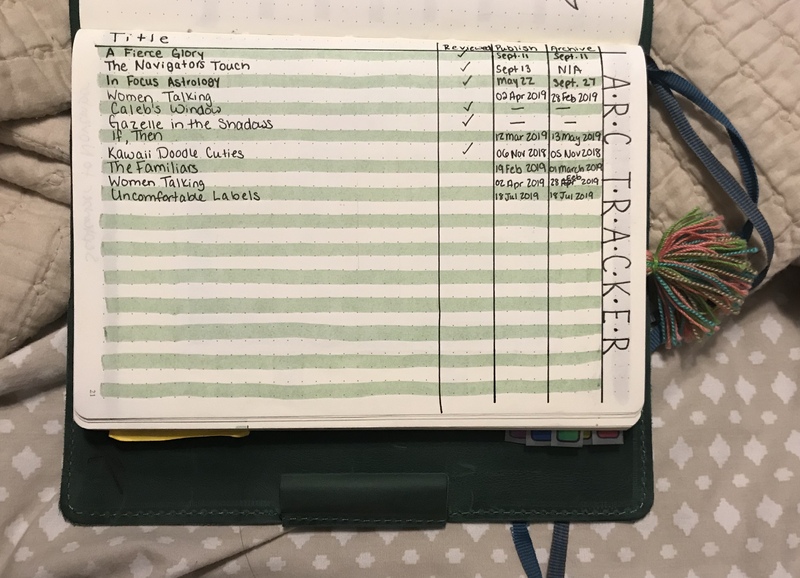 So I have been blown away at my progress with the OWLs Readathon so far. I am not complaining in anyway, but I had no idea I would have read so much already. I think taking part in the Magical All Nighter really helped me make a lot of progress as well. Anyway, I am going to hurry and tell you the OWLs I have passed, ones I am working on, and the ones I still need for my profession of choice. Then, underneath will be my mini reviews. Also, if you have no idea what I am talking about, you can read about the readathon and my goals here: April TBR | OWLs Magical Readathon 2019. I really enjoyed the wide array of perspectives that were present in this book. Not did the editor bring together a wonderful collection of writings, the writings were created by an assortment of women of different ages as well. I felt like that created a very interesting dynamic in the writing, but also illustrated that deep feelings can be felt at any age. I felt passion and many deep emotions while reading this book. All the writers are very talented. I think my favorite, if I had to pick, would be Islamic Tinder by Triska Hamid. On top of the quality of writing, I also enjoyed that there were different forms of writing present; short stories, poetry, and plays as well. This is the second collection I am reading from this author, I am happy to say that I still love her work. Her theme throughout this book was wonderfully represented, but I also liked how the classic fairytales were shifted to tell a unique story as well. The illustrations throughout were very complimentary as well. If the description interests you or you want to try a collection of poems and stories I highly recommend. My favorites were Lost Boy, The Step Mothers Tale, Shoemakers Son. From the title you can tell that this book deals with the very difficult topic of suicide. If any discussion of this topic is a trigger for you, I do not recommend you picking it up. If this is not a triggering topic, I highly suggest you read it. Having personally dealt with a family member who has gone through this, I went into this book a bit worried that it would handle the topic badly. I was very pleasantly surprised that it handled not only the girls well, but also those left behind very well. I don’t really want to say much about the story itself, but I thought the writing was well done, the characters done well, and I was very much enthralled by the plot. This is a page turner with twists I did not expect. I read this in one sitting and I will be looking out to read more from this author in the future. If you want a fast paced family centric thriller I highly suggest this one. This was a really wonderful science fiction novella. I will openly admit I teared up at the end, which surprised me because I did not expect to become attached to any of the characters in the slightest. The novella is so short I expected it to be a good story, but not one that made me feel. This was a very interesting idea and done very well. But, please know this is not a horror, it is science fiction. This was a well written and feel good fun story of a man who wanted to test the mail system. He ended up being known for this hobby and being one of the “fathers” of mail. The story was fun to read and I found it very interesting and fast paced. The images thorugh the book were beautifully copied added and great detail could be seen. If you like reading about “oddities” and want a fast paced and interesting non-fiction to read, I highly suggest. I will say I was drawn to this at first because I collect postcards from around the world, but I feel like anyone would enjoy reading this. It truly is about a man following his hobby and having fun. I just started reading the third book in the Wayward Children series, I don’t want to say too much for fear I will spoil something, but I am excited to continue with this series and see what world we are taken to next. The book will cover the requirement for Potions, my last required OWL for Herbology. The second half of this reading month was a bit slower than the first half. The main reason is I was super tired and had no down time until the last week of the month. Since then I have picked up some new yarns to crochet and listened to a few audiobooks. This month, even though the second half was a bit much, I read more than I have in February, where I read only 4 books. This month I was able to read 5 books, yay progress! Plus, one of them was The Count of Monte Cristo, so I feel like I read A LOT, especially if I look at it page wise. Now, on to the books! Before I started to read this book, I love the idea of this book. Now that I have read it I can happily say the execution of this story was wonderful. 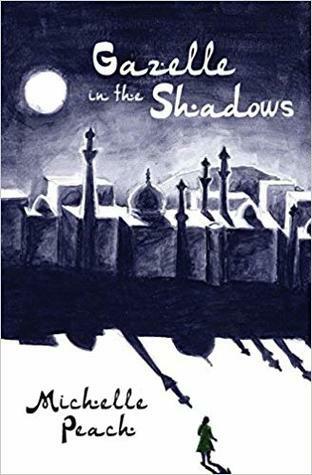 The author is a very talented writer and did a great job with this novel. The authors were interesting and their personalities were interesting. The shenanigans the characters went through were sometimes so out of this world, which for the idea of this book, that makes a lot of sense. I really enjoyed the mixture of thriller and science fiction. The intertwining of these two generous was done masterfully in my option. Her writing had me hooked on this book, I needed to know what happened next. This is the second work I have read by Chimamanda and I really enjoyed this collection of stories. Each story revolves around a women that is forced to face unfortunate situations in both Africa and the United States. The theme of family, identity, and culture intertwines each of them. Her writing is beautiful, the struggles broke my heart, and the internal and eternal struggle these women had to face were eye opening. I will be reading more from her in the future. If you want to read about the books I read in the first half of March in more detail, you can find those here: Middle Mark | March 2019. I am currently about 22% through this book as of writing this late on the 30th of March. I picked this up on a whim at my local bookstore because I had a coupon and gift card. I previously have heard about it. The title alone sounds like these are short stories and poems that are meant to truly share their experiences, their feelings, hopes and dream, but also their fears. As of right now each ones of the poems and stories are powerful in their own way and I cannot wait to read more after I finish typing this up. What book did you read and love this month? The residents of a sleepy mountain town are rocked by troubling visions of an alternate reality in this dazzling debut that combines the family-driven suspense of Celeste Ng’s Little Fires Everywhere with the inventive storytelling of The Immortalists. In the quiet haven of Clearing, Oregon, four neighbors find their lives upended when they begin to see themselves in parallel realities. 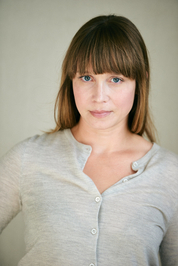 Ginny, a devoted surgeon whose work often takes precedence over her family, has a baffling vision of a beautiful co-worker in Ginny’s own bed and begins to doubt the solidity of her marriage. 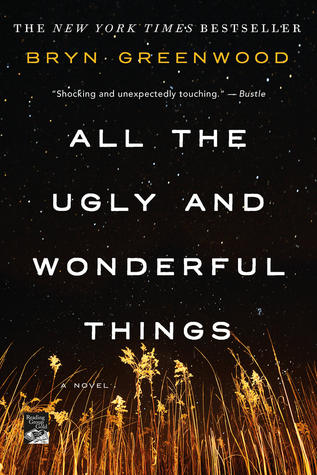 Ginny’s husband, Mark, a wildlife scientist, sees a vision that suggests impending devastation and grows increasingly paranoid, threatening the safety of his wife and son. Samara, a young woman desperately mourning the recent death of her mother and questioning why her father seems to be coping with such ease, witnesses an apparition of her mother healthy and vibrant and wonders about the secrets her parents may have kept from her. Cass, a brilliant scholar struggling with the demands of new motherhood, catches a glimpse of herself pregnant again, just as she’s on the brink of returning to the project that could define her career. At first the visions are relatively benign, but they grow increasingly disturbing—and, in some cases, frightening. When a natural disaster threatens Clearing, it becomes obvious that the visions were not what they first seemed and that the town will never be the same. 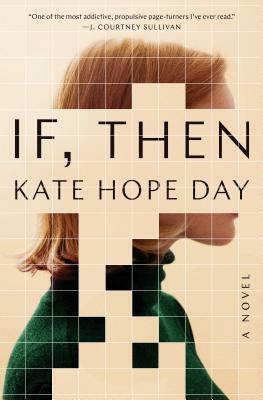 Startling, deeply imagined, and compulsively readable, Kate Hope Day’s debut novel is about the choices we make that shape our lives and determine our destinies—the moments that alter us so profoundly that it feels as if we’ve entered another reality. This was a very fast paced read that had you flying through the lives if the four propionate characters. I have been reading a lot of big novels such as The Count of Monte Cristo, so reading such a fast paced book, that didn’t feel rushed was wonderful and just what I needed. I also enjoyed how this was a science fiction novel that wasn’t too out there. It just blurred the lines between alternate realities and did so in a really interesting way. As I was reading this I was almost getting NOS4A2 vibes in this respect. It was just a little science fiction that really lit up the story. It takes a skilled writer to just take something small and build a story like this surrounding it. The writing in this novel was done really well. It takes talent in my eyes to be able to create a story that shifts so much between characters, time, and in some cases reality as the characters know it. If I had tried to do such a thing there would be plot holes left and right. Additionally, her writing style is very enjoyable to a point I will be looking into her future books, I hope she writes more. Personally for me I did not get fully attached to any of the characters. This does not mean they were poorly written or anything like that. I just think because there were four main characters and the story flew by so quickly I didn’t really get a chance to connect with them. The characters themselves were interesting, especially since they seemed to be “battling” and experiencing such different things in their lives. This is a very intriguing and interesting book. The premise of this book reminded me of a combination of books I already enjoyed, while it was all her own. The book flew by, but I can also see how that can be a disservice to this story. Overall, it was a good read in my eyes, I was entertained and I wanted to know what would happen next so I kept turning the pages. If you want a fast paced read that is a little out of the ordinary and has you thinking about alternate realities/dimensions I suggest this book to you. After reading so many books in January I was bound to read less this month for two reasons. World became really, really busy and I was overwhelmed and the month is only 28 days long. Three more days I feel like I would have read more, but oh well there is always next month. Even though I did not feel like I read a ton, I did manage to read 4 books, so a book a week is not bad at all. Three of those books were taken right off of my TBR while the fourth was one I reread. So, not to shabby over all. Without more rambling and me wishing I was able to read more, here are the books I read this month! One thing I really liked about this was not only did it talk about Yorktown, it talked about what was going on right before and where the major players had their heads at. It explained things very well and had quite a few maps to help visually explain what was going on. This is a great addition if you ask me. Being a history major I knew quite a bit of the information going into this book, but I did learn some new things and more details about the battle itself. I would recommend this to anyone who is interested in the battle or in the revolution. Beginner and those who know a bit of the details. I really enjoyed how over the top this book is. The main character was a little in a lala land and idealized everything and at times I found it really annoying from time to time. I feel like she needed some tough love sooner rather than later when it came to living her own life in the real world. I loved that the setting was at a wedding, I thought it was a really good setting. I laughed at some of the events and can I just say I loved the puppy waffle. The comedic timing of the puppy was spot on as well as his mischievous time. Overall, this was a really good contemporary that broke up the heavy reading I have been reading as of late. I read through it very quickly when I did pick it up. I didn’t want to just rewrite my review, but if you want to know the details of my thoughts on these books please see my post, Middle Mark | February 2019. What is your favorite book you read this month? Have you read any of the books I have mentioned?What are you planning on reading next? So it has been some time since I mentioned by ______ Picks My Books series I did in 2018. I honestly got so caught up in my own books and just kept putting the books off for one reason or another. But, I am happy to say that I can finally do a bit of an update. If you want to read the rest of the series, I will link that below for you. I ended up liking this book so much more than I thought I would. I normally rarely read about celebrities or actors I like in real life, so I always thought, “Why would I care about one that didn’t even exist?”. Well, I have to say that this book proved that point wrong. Within the first chapter I was already hooked. 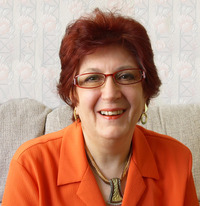 They methods used by the author to tell Evelyn Hugo’s story were wonderful and made it feel so tangible. Not only did the author tell an addicting story of this woman, but she told a story of so much more than that. That is the part of the story I did not expect and loved. The author did some great things with this book and I highly recommend. Review first published here: Weeks in Review | November 4th-November 10th. So, I need to admit something here. I ended up DNFing this book. I read about 50 pages of it and while I enjoyed it very much while reading it. Once I put it down I just did not want to pick it up again. I cannot pin point the reason why, but I just didn’t feel the need to. Like I said, I enjoyed what I read, so I am even more confused. The writing was good, the story was interesting. I just think it was a case of the right book at the right time. I think I may try it again in the future, we shall see. I would suggest that you try it for yourself, I am a huge mood reader and in this case I think I was simply not in the mood. Overall, I am so happy with Jenna’s choices. 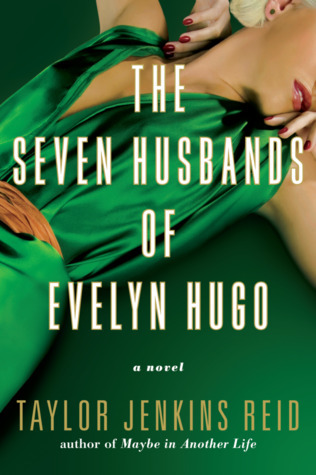 I absolutely loved The Seven Husbands of Evelyn Hugo, I was in shock at how much I liked it because I usually don’t enjoy books like this at all. While I DNF’ed the other book, I still think it is a good book, I just think I read it at the wrong time and I may give it another shot later on when I am more in the mood for something like that. Anyway, thank-you for reading and thank-you so much Jenna for picking books to add to my TBR! Overall, I have to say I am pretty good with keeping up with my Netgalley list now. I used to be fairly bad at it. I would often go on requesting sprees because I was not sure if I would or would not get approved for books. I figured most were a long shot and I would just up my odds by requesting a bunch. Well, that approach did not work. When I first started I had no system or rules in place, so I would just pick a random ARC I needed to review and read it every so often. I did not account for when it came out or how long I had on my shelf. I was kind of overwhelmed and I had a ton on my kindle. I really had no idea where to start so I pick threw a dart and read that one. This was not the best course of action for me. I saw more and more books go into the 6 months or older section and I became stressed. I was getting approved more often as I handed in reviews, which I was excited about, but then I had more and more books coming into my kindle that I previously. One day I was just so over whelmed I took a day and just went through everything. When I did this I came up with a few rules and tracking system that helped me. I made a really simple tracking system for myself. I write down the title, if I reviewed it, when it is to be published, and when it will be archived. 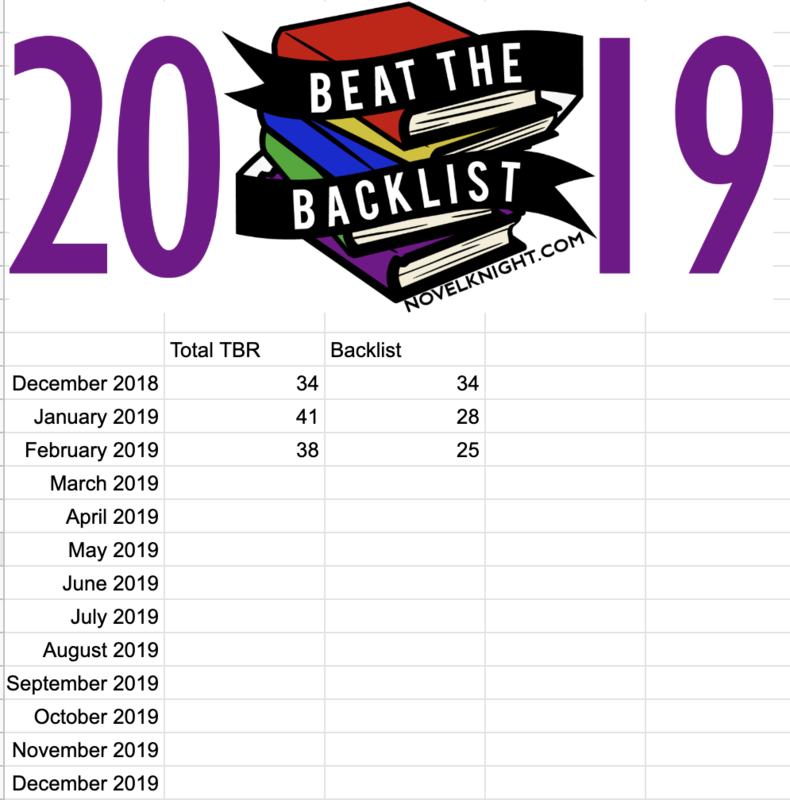 When I go to read an ARC, I go to this list and I look at the published date to determine which one I will read next. You may notice that I do not track which books I request. I used to, but now I only pick one ARC to request per month. You can see from the above image I have an ARC for February, March, April and July. I only requested one per month so I can’t get over whelmed with the ARCs coming in. Having one ARC a month means I can still read all the books I have on my shelf without worrying about getting my reviews in. Now these rules are just what works for me, that does not mean they will work for you, but I thought it would be interesting to share. Request one book per month, dependent on the release date. Read the an ARC the month before it’s release date. This ensures I don’t forget a book I am approved for. Only request books I would pay to read. This one is my top rules, this makes sure I request only books I will want to read asap. I will not want to put them off and I know I am not taking ARCs away from others who really want to read them. No book can make it to the 3 month or older shelf. How do you manage your requests and netgalley reviews? So, I don’t know about you, but I always see quizzes where they ask you to answer a bunch of questions and then will recommend you a book. I don’t do many of them, but I decided to do the following one that was created by bookish.com. This one asked a bunch of questions and then in theory would recommend me a book I would love to read this fall. So I answered a bunch of questions, some you can see how they would relate to a book recommendation, others not so much. There was a question about the type of Halloween candy I liked most and I still cannot understand what the connection between a book and a candy. Not to mention they didn’t even have the candy I liked the most. That is one thing that has made me skeptical in the past about these quizzes, sometimes the answers don’t really apply to myself. I wish there was a Other option for some of them, but I can see how they would not be an option so I just pick the closest thing. When I was done with the quiz I was given Small Fry by Lisa Brennan-Jobs. Now I was curious to see if they actually recommended me a book I would enjoy reading or not. So I started reading this book in the middle of November, it was a perfect book to read during non-fiction November. So, at this point the quiz is in the positive. This was a very honest book, which I was not sure if I was going to get. I thought it would not be as deep and show so much of the negative aspects of her relationship with her father. The main reason I thought this was because he has passed and people tend to get rose colored glasses when someone has passed. People focus on the good things, which I think is a great thing to do, don’t get me wrong. But, I really liked that she was honest about the downs as much as the ups in her relationship with her father. Another thing I liked about this book is that it was really well laid out and the story of her life slows very well. I have read memoirs that read choppy and seemed to be disjointed at times. This one is quite the opposite. Also, I really enjoyed that she didn’t just talk about her father even though he is a very well known individual. I really enjoyed learning about her and her story. I liked hearing about her experience in college and as a child even though I had no idea who she was before reading this book, to me that says a lot. I would say the only reason why I did not give this story a full five stars is because I didn’t really get anything that affected how I saw things in my own life. I know that can sound bad, but when I read a memoir about a person the only way I would give it a five is if it impacted how I lived my life or influenced how I saw a particular event or idea. I hope that make sense. I do highly suggest this book if you are looking to read a good memoir. Have you read a book that was recommended to you by a quiz? One thing I first noticed about this book was the main character. Now this may sound like a really dumb statement given it is the main character, but bare with me. When you first meet the main character she is kinda annoying and just very short cited. She doesn’t really think too far into the future. I will say I really liked when she grew as a character. She started using her head and really started to evaluate what was truly important to her. Another thing I liked was the fact that the author pulled from her own life experiences and mixed it with fiction. You can really tell in her writing that she was not just researching places and doing her homework. Her experiences really bleed through the pages and it makes the atmosphere more realistic. Sometimes you can just tell when someone just researches, the story isn’t bad, but it is just flat. This was not flat. Like I said earlier the main character was really annoying. At times I found myself saying “What are you doing? !”, it was bad. For me it is really hard to tolerate. But, as you can see from the previous section this was address via character growth, thankfully. It was just a bit difficult to deal with at first. Overall I think this was an enjoyable read. There was suspense, adventure, and at times violence. Once again the character growth is great and you see her grow from a pretty much clueless individual into someone who really starts to value the things in her life. I also liked that this was not a thriller once again set en Europe of North America. It was really enjoyable having another setting. I think if the description intrigues you in anyway it is worth checking out. * I received this book from the publisher via Netgalley in exchange for an honest review. In Focus Astrology provides the ins and outs of all the star signs, along with instructions to create your own astrology chart. Included with the book is a fully illustrated reference poster detailing each astrological sign. Who is your perfect mate? A Capricorn, Libra, or Virgo? Why are you not getting along with your coworker, who is a Gemini? Why are you constantly making the same mistakes? 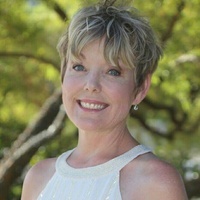 In Focus Astrology will give you a deeper understanding of your own nature, as well as those closest to you—and, perhaps, those you should keep at arm’s length. In Focus Astrology answers every sun and moon sign question, including how how to create your own astrology chart. 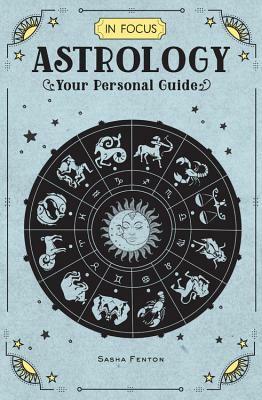 Packaged inside the book is an 18″ x 24″ illustrated wall chart with the main characteristics of each astrological sign. This guide covers the full breadth of astrology topics, including the signs of the zodiac, sun and moon signs, astrological houses, the planets, and aspects. You will also learn how astrology relates to your body and health. The first thing I noticed about this book was how beautiful it looked. Now, this might sounds a bit contrary to what you should write in a book review, but with this book the imagery throughout adds a lot. The reason I say this is because all images in this book serve a purpose. They either illustrate a star sign or they are a diagram of some sort. The style is cute, they are all informative, but not distracting in my option. Everything was very complimentary. Now, this goes into my next point, this book is very informative. It talks about a wide array of subjects that are related to astrology. This include star signs, ascending and rising signs, the aspects and the houses as well. Even with all of this information and how in-depth it is, I was never confused. The language used to explain aspects of this field is very upfront, but done so in a way that is straightforward and not overly filled with jargon. The one thing I think that would be a negative with this book would be that you really need to want to explore astrology. This book is not a book that you just would just jump into to know what astrology is, it is for those who want to the topic more in depth. I feel like this is more of a perfect book for those who have read one already or are very dedicated to learning about this topic. This guide is great for those who are really interested in learning about astrology. It is a very well rounded guide that covers many aspects of the topic. Not only does it cover the more known topics such as the signs such as Cancer, Taurus, and the other 10 zodiac signs it goes houses, planets, and more. It is really a great book to read and have on hand to reference if you are committed to astrology and learning all there is to learn about the topic. After invaders destroyed her village, murdered her family, and took her prisoner, shield-maiden Ragna is hungry for revenge. A trained warrior, she is ready to fight for her home, but with only a mermaid and a crew of disloyal mercenaries to aid her, Ragna knows she needs new allies. 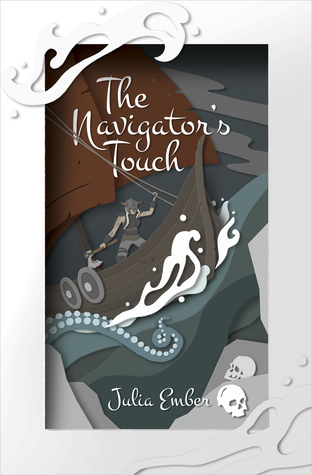 Guided by the magical maps on her skin, battling storms and mutiny, Ragna sets sail across the Northern Sea. She petitions the Jarl in Skjordal for aid, but despite Ragna’s rank and fighting ability, the Jarl sees only a young girl, too inexperienced to lead, unworthy of help. To prove herself to the Jarl and win her crew’s respect, Ragna undertakes a dangerous expedition. But when forced to decide between her own freedom and the fate of her crew, what will she sacrifice to save what’s left of her home? Inspired by Norse mythology and J.M. Barrie’s Peter Pan, this companion novel to The Seafarer’s Kiss is a tale of vengeance, valor, honor, and redemption. While I really enjoyed the first book in this companion series, The Seafarer’s Kiss, I found this retelling to be just as imaginative and interesting. This time around Julia Ember pulled from Norse mythology to aid in creating a retelling of Peterpan in a way. I find that Ember does a wonderful job in keeping to the characters she is has drawn inspiration from, but also makes them something new and her own. I know that sounds contradictory, but it is true. I also really liked about this novel was the fact that it has flawed characters. For me when I see a flawed characters, even with a bit of magic and mythology surrounding them, it makes them more real, more tangible. Throughout the book Ragna is making mistakes, unreliable, and can just be rude. But, this makes her seem more human. I also did enjoy the sense of tension between her and her crew. I though it was an interesting way to go with their relationship since she rely on them and they rely so much on her as a leader. It also makes some of the issues “internal” in a sense and not just us against others. Another thing I really liked was the fact that this novel the focus was not on romance. While I really enjoyed the previous book, I was glad to see more than just a romance. It allowed the world to become bigger, more vibrant, and the characters to shine on their own a bit more. Also, can I just say the mixture of mythology and elements from Peter Pan made such an interesting world and story. This combination was unique and I have not read anything similar to it. One thing I was not overly thrilled with was the fact that were are times of violence that was pushing my limits at times. I do not think the violence in any way was prolonged, but it is there. Now, this is personal and I do want to point out that I am pretty sure Interlude, the publishing house that oversees Duet Books does post warning about their books. I did not look at these before hand. If this is something you think will bother you I highly suggest you look up the warning. But, I will be honest I would have read it anyway because I enjoyed Ember’s previous book and I enjoyed this one as well even though it had moments of violence. Overall, I thought this was a unique book. The combination of Embers world building, characters, and tension create a very good read. I also think that this is something that can be read on its own or the books can be easily read out of order and the reader wont miss out on anything. If you are looking for an interesting retelling I highly suggest this book.